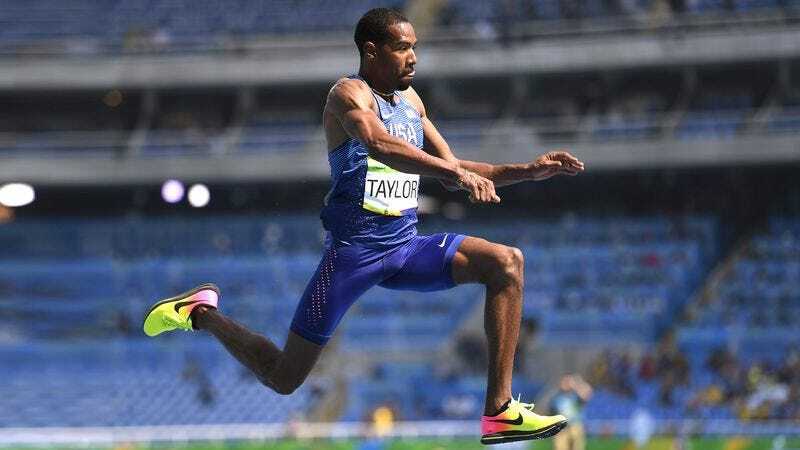 RIO DE JANEIRO—Candidly opening up about his winning strategy after taking gold in the event, U.S. Olympic triple-jumper Christian Taylor revealed to reporters Friday that the key to a successful triple jump is jumping twice, and then jumping one more time. “I jump two times, and then—and this is the most important part—I always jump another time; that third jump is really the most important jump,” said the two-time Olympian, adding that a competitor could, conceivably, perform only two jumps in the event, but their performance would be greatly improved by adding a third jump after the first two jumps. “The other thing is, you have to stop jumping after the third jump. If you jump a fourth time, that’s too many jumps. It’s not easy, though, so it can take years to truly master that part of the sport.” Taylor went on to patiently explain that the difference between the triple jump and the long jump was not one, but actually two jumps.